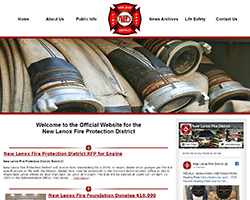 Get smart with your fire department records in 2019. It's EASY to build a database and even EASIER for your members to start using it. Sign Up Today. 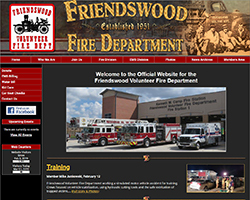 Firehouse Solutions offers a complete website solution designed to support Fire Departments, Rescue Squads, & EMS companies throughout the world. Our services include professional web design, cloud-based web hosting, data management, and e-mail solutions. Research has proven that a quality website with frequent updates can boost morale, expand recruitment, and allow your department to reach into the community. 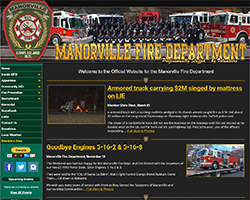 Our website technology and services can help your fire department do just that! 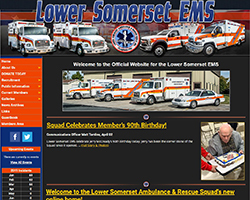 Our websites offer many exciting features, including a secure members area. The members area is packed with interactive sections that allow your department to keep the website updated, created databases, communicate through discussion forums, post online calendar events, and much more. Your members can also setup E-alerts so that they are automatically e-mailed as new content is placed on the website. We invite you to see exactly how it all works through our Online Demo. If you have any questions, feel free to contact us at Sales@FirehouseSolutions.com. Build your own forms and databases. Now available on Package One. This video tutorial explains how to create an Apparatus & Equipment Maintenance Request Database.